Garage doors always need to be secure. 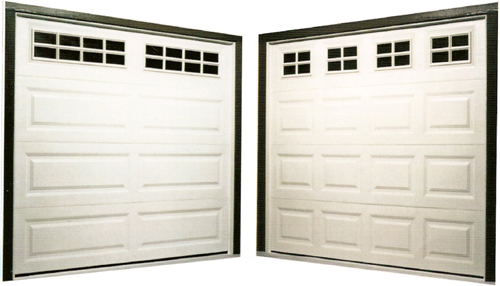 We understand that having a safe working garage door is one of the most important things to have. With that in mind, we will share some tips with you. First stand inside your garage door and simply press your remote and just watch if everything is running smoothly. If there is any unwanted noise or movement then you have to take some safety measures. The best solution would be to call a garage door expert and let them fix it. If that option is not available, you can do some home inspections yourself. First thing you need to do is pull down the red release handle which is usually a rope, and manually lift your garage halfway up. If the garage door doesn’t stay in the halfway position, then your garage door is not properly balanced. After that inspection, you can check the rollers and see if they are worn out. Some of the things you should be looking for are chips or cracks on the rollers. A crucial part of maintaining your rollers and other moving parts in your garage door, is to always grease and lubricate them. You can do this once a year and it takes only minutes to complete. All the moving parts include things such as, rollers, springs, cables, gears, and hinges. Once again, these are just minor checkups you can do yourself, but some of these things can get a little tricky and problematic. If you are ever in doubt, give us a call and we can send one of our trained specialists your way. Also take advantage of our yearly maintenance packages and you will never come across any of these problems. You won’t have to move a finger while our technicians take care of everything.